Grill | Sear the perfect steaks, pork chops or burgers on the EGG. High temperature “steak house” grilling – even at 750º F / 400º C – is quick and easy! Using the two dampers for accurate control, you can lower the heat to a more moderate temperature for other grilled foods. Fish and seafood turn out moist and tender with a flavor-packed crust unmatched by other grills. Oven | Using the indirect cooking method with a Plate Setter, the Big Green Egg bakes bread, pizza, casseroles, cobblers and pies better than your kitchen oven … you may never cook indoors again! The Big Green Egg retains heat and moisture so well that foods don’t dry out! Poultry, lamb, beef and vegetables are naturally tastier because the juices and flavors stay locked inside. Smoker | The insulating ceramics of the Big Green Egg allow you to precisely control the temperature even at low heat. A controllable 200 to 350°F / 93 to 177°C gives succulent results with turkey, ham, lamb, chicken, ribs or any of your favorite cuts, infusing them with the aromatic wood smoke flavor. Want to slow cook at low heat for sixteen to eighteen hours … no problem! Available in five sizes, Big Green Egg ceramic cookers can sear, grill, smoke, roast, and bake. The original American-designed cookers. Whether you are ready for your first Big Green Egg, or ready for your second, third or forth - Wassi's Meat Market is the place to come. We have all sizes instock and all eggcessories as well. We give you all the expert advice that you need to get you up and grilling in no time. Not only can we supply everything you want to cook on your EGG, we can give you our expert advise on just how to cook it and how long. Come in, pick our brains! We are happy to help. To connoisseurs of outdoor living, the Big Green Egg brand has long been synonymous with innovative design and the highest quality products. 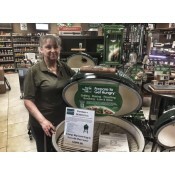 And now the Big Green Egg product line is enhanced with the launch of an exclusive line of Custom Cooking Islands — engineered specifically for the Big G..
Come by Wassi's Meat Market to see this must have for your Egg. To connoisseurs of outdoor living, the Big Green Egg brand has long been synonymous with innovative design and the highest quality products. 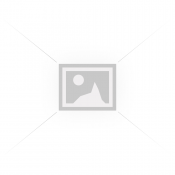 And now the Big Green Egg product line is enhanced with the launch of an exclusive line of C.. The Large EGG is the most popular size and a favorite to handle the cooking needs of most families and gatherings of friends. Accommodates all EGGcessories for baking, roasting or smoking – and it’s versatile enough for weekend cook-outs or pizza parties, large enough for eight steaks at once.. MEDIUM Happiness in a smaller package – the Medium EGG is perfectly sized for smaller families and couples, and accommodates all the most popular EGGcessories like the Plate Setter and Baking Stone. Get all the famous Big Green Egg versatility and efficiency in a smaller package with plenty of co..
MINI A MINI EGG is the perfect solution for picnics and tailgating when you want to take The Ultimate Cooking Experience with you! It is also a popular size for grilling on apartment balconies or camping and boating. Leave those propane canisters at home and enjoy your favorite campfire meal on t.. CALL FOR PRICING While the Big Green Egg has always been acclaimed as The Ultimate Cooking Experience for backyard cooks and grilling aficionados, the EGG has also become an invaluable “tool of the trade” for award-winning chefs in some of the most celebrated restaurants in the world – from the top..
SMALL Big Flavor in a compact package! The Small EGG is an easy fit for smaller patios and balconies, and is able to prepare four burgers or chicken breasts at a time. The small Egg is often used as a companion for the XLarge, Large or Medium EGG to allow the preparation of several courses at onc..